Romania’s second forest inventory (NFI) reveals an alarming loss of mature and high value forests due to massive logging pressure. According to the nationwide inventory, the average annual wood harvest between 2013 and 2018 was about 38.6 million cubic meters. But only 18 million cubic meters have been approved with forest management pans. The remaining 20.6 million cubic meters of timber exploited per year „disappeared“ outside the legal framework. 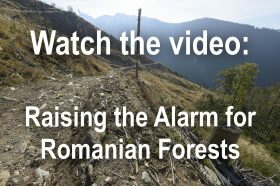 A closer look at the statistics published by the Ministry of Water and Forests shows that the massive forest exploitation in Romania increasingly results in young forests, which is of low value for both, economy and nature capital. Romania’s forests turned into a „kindergarten“? Almost 60% of the forest cover is younger than the legal minimum age limit for logging of 80 years and thus not able to be exploited. 85% is younger than 100 years. Only 1% of the forests have an average age of more than 160 years, and not more than another 2% have reached an average age between 140 and 160 years. Only 8% are older than 120 years, which includes more high nature values (with aged trees and a higher volume of dead wood). Virgin and „quasi-virgin“-forests could be represented by the 1% figure (older than 160 years). 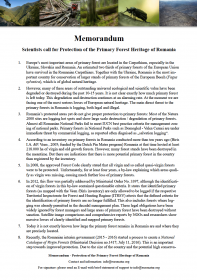 The 2% figure (141/160 years forest) most likely includes most of the other old growth forests in Romania, including precious stands in National Parks and Natura 2000 sites. These two categories together sum up to approximately 207.00 hectares of forests. Most of these forests are not strictly protected today and are subject of „progressive cutting“, which means a stepwise removal of all trees in a forest parcel. This means: Due to the massive (over-) logging Romania’s forests have been largely turned into juvenile stands. Romania is running out of mature and high nature value forests, which cover less than 3% of the forest surface all together. 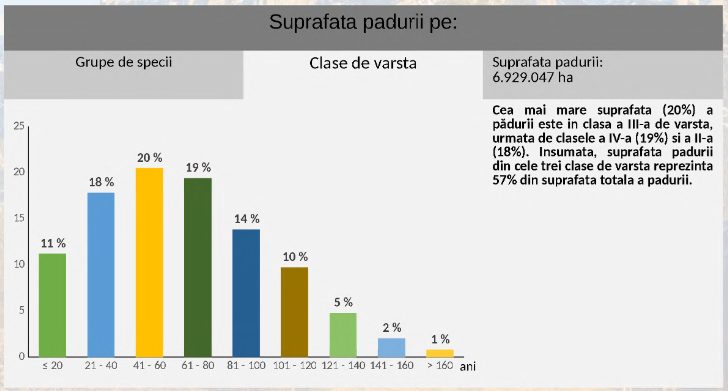 Average age distribution of Romanian forests: 85% are younger than 100 years. These figures clearly indicate an alarming situation: this outstandingly important European natural heritage in Romania is vanishing – before the eyes of the EU and the public. Nevertheless, forest industry interest groups argue that the NFI data also indicates an annual growth of 58,6 million cubic meters (8,46 cubic meters per hectare) and thus the forest is healthy and the legal annual wood harvest should be even increased. There have been also attempts by lobbyists to decrease the legal minimum age of cutting from 80 to 70 years in order to boost revenue. 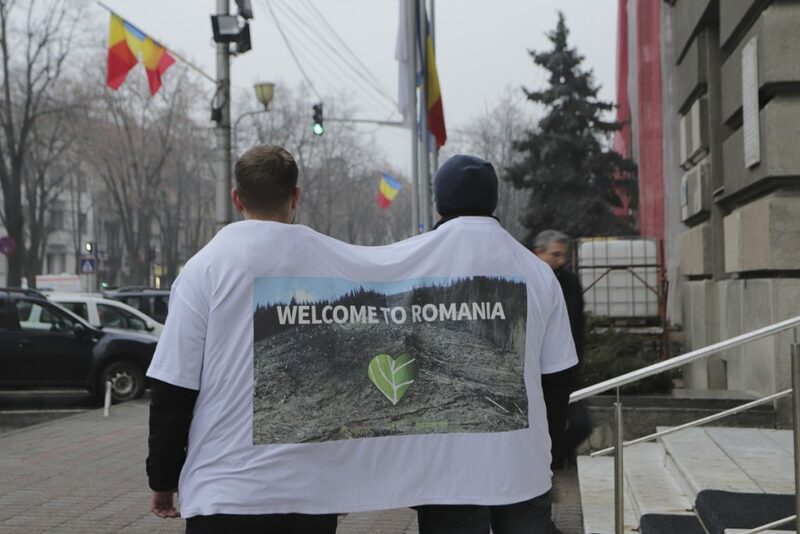 In the morning of Wednesday, January 30, Agent Green activists alerted the international experts attending a conference of the EGA (Environmental Goods Agreement) in Timisoara on the escalating forest crisis in Romania. 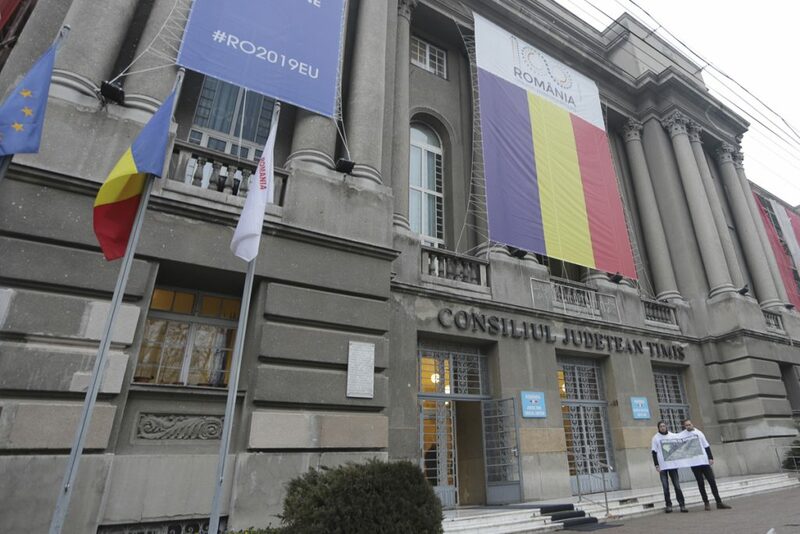 Two activists expected the delegates at the entrance with an oversized T-shirt-banner with an image of a giant clearcut and saying „Welcome to Romania“. The EGA-event takes place on January 30th and 31st under the Romanian EU-Presidency within the framework of the implementation of the Paris Climate Agreement and is hosted by the Timis County Council. Police and the Gendarmerie immediately intervened and led the protesters away from the eyes of EU experts. “It’s not nice what you do, what will the foreigners say about our country? You make our country look ridiculous, “said Carmelia Dragomir Bălănică, vice-president of the National Agency for Natural Protected Areas, to the activists. 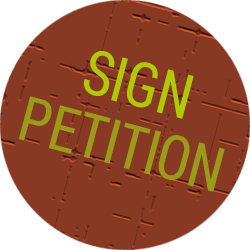 “We draw the attention of EGA experts who coordinate EU member states on the negative effects of the massive forest exploitation which affects both biodiversity and climate. The virgin and old growth forests play an essential role in combating climate change as they absorb greenhouse gases and stores them permanently in the form of carbon. Only 8% of Romania’s forests are still over 120 years old and in a natural state. At EU level, even less. Virgin and old growth forests must be strictly protected by a moratorium, “said Gabriel Paun, president of Agent Green.